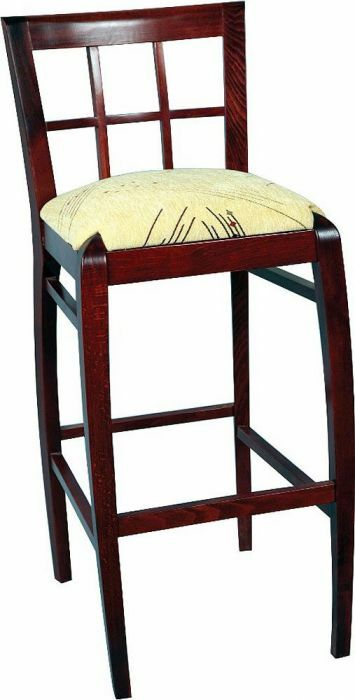 This is a very modern and creative take on the traditional bar stool. The cushion is extra thick for added comfort and the seat comes in a huge selection of fabrics and imitation leathers. Solid wood construction available in UK wood finishes with upholstered seat in Draylon, Faux Suede or BP Faux Leather.